Hair dryers are like bottles of wine — some cost $15, some cost $500, and it's often unclear whether or not you're truly getting what you pay for. 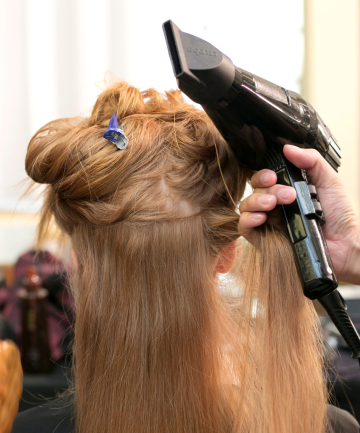 Some hair dryers can leave your hair damaged and frizzy — not exactly what you set out to achieve when doing your blowout. And that's where this list of the best hair dryers comes in. TotalBeauty.com readers tested the full spectrum of blow-dryers, rated their favorites and told us why they rank so high. We scoured the best hair dryer reviews to see which ones left our readers with shiny hair, cut down on drying time and tamed frizzy hair. Here, the eight best hair dryers for 2016. It might just be time for you to upgrade your hair dryer. Thinking about getting the Vidal Sassoon dryer with the comb attachments. These combs really help when drying and trying to straighten curly hair. I see some very affordable hair dryers that have good ratings here. I have CHI and it doesn't do the job as it is supposed to be. Waste of money. I have very dry semi wavy/ curly. So u want something that smooths the hair when I want to wear it straight or curly. Have to buy a new hair dryer, wondering if the Brazilian Tech keratin dryer is worth it. I have never treated with keratin; have fine long hair that is prone to be frizzy when humid. Can anyone give advice on this dryer? Sally’s has it for $71 and I have coupon. I hate buying cheap stuff from wal-mart to have it break. Thank you. I'm in the market for a new hair dryer so this "buying guide" was helpful. The Vidal Sassoon and the CHI dryers especially caught my eye. Thanks for including a variety of dryers, with varying price ranges. The best hair dryer I've EVER used is the Karmin G3 salon pro hair dryer. It is really powerful but it has ceramic and negative ions so it dries super fast without damaging hair. More people should try it! I love it to bits!! !